Honda, in addition to making mass production motorcycles is also preparing a modification concept to an existing model. More recently, Japan's leading motorcycle manufacturer introduced the figure of 'Honda 300 TT Racer.' 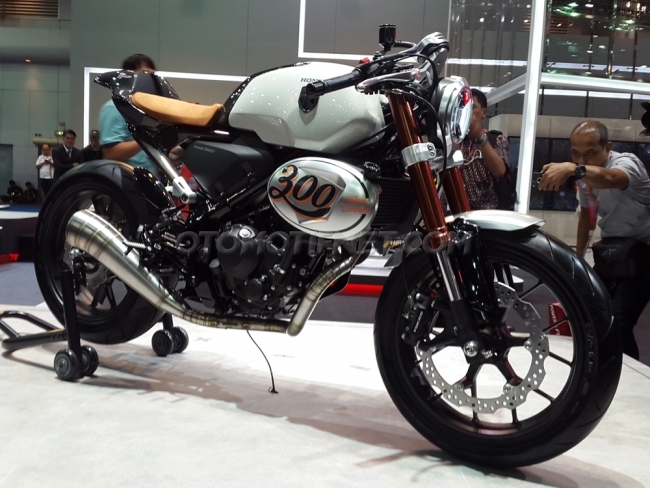 This café racer motorcycle concept actually has been shown on Honda's booth in the Bangkok Motor Show 2016 held some time ago. The Honda's R & D division modification motorcycle is then registered its patent by Honda Japan. Filing a patent is to prevent the irresponsible use it to create a similar design. 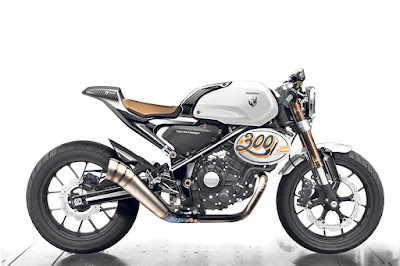 As quoted from Motorcyclenews, the figure of Honda 300 TT Racer built from the base of Honda CB300F, but its form is still a concept and not worthy of taking to the streets. In the process, Honda stripping out the instrument panel and rear-view mirror. In addition, some parts are also not meet regulations such as its short tail whose dimensions do not exceed the rear wheel and the exhaust is not equipped with a catalytic converter. 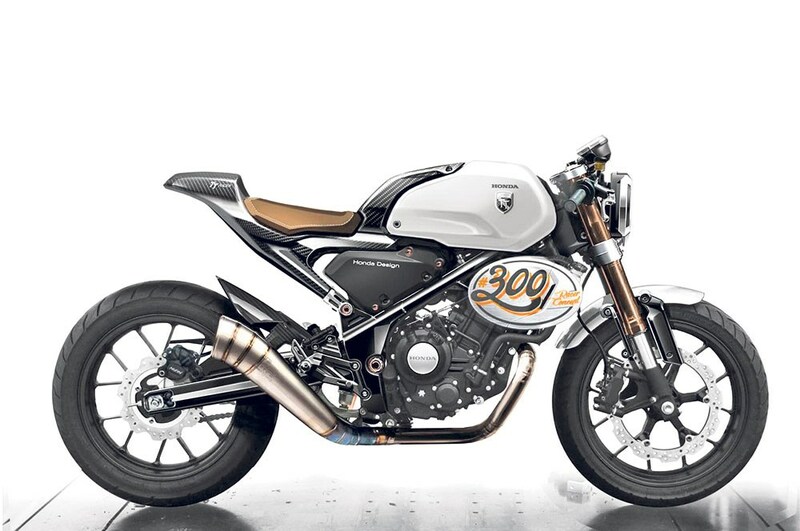 The Honda 300 TT Racer design also gets the influence of Honda CB1100F in the tank. This design also does not rule out the possibility useful for bolt on accessories package for similar motorcycle owners who want to change the style of ordinary naked bike into a café racer or a scrambler. Unfortunately, the retro motorcycle enthusiasts will surely be disappointed because Honda 300 TT Racer does not go into the Honda's dealer network or not sold freely in the future. At least, the figure of this motorcycle can be a fresh inspiration for you who want to modify your favorite motorcycle.